My Dad reviewed the maps and told me I could cut off a few miles if I took a different route. So I did and ended up running on a dirt road having no idea where I was or where I was going!! Finish location – Boston Heights, OH. Finish location – Johnston, OH. Finish location – Meadville, PA. Finish location – Youngsville, PA. Finish location – Smithport, PA. Finish location – Galesburg, IL. Running with my brother Alan who flew out to meet us. Finish location – Princeton, IL. Finish location – Morris, IL. Finish location – Chicago Heights, IL. Finish location – Westville, IN. Finish location – Nappanee, IN. Finish location – Kendelville, IN. Finish location – Napolean, OH. Finish location – Rollersville, OH. Finish location – Norwalk, OH. Every day I would walk a final two miles with my cassette recorder and record all the highlights of the day. Finish location – Ottumwa, IA. Supplements – my team would package up about 30 different dietary supplements that I would take every day. Not sure if they helped but I don’t think they hurt. Finish location – Mt. Pleasant, IA. Bath – when I could, I would take a bath in the motor home – maybe 3-4 times a week. Finish location – Monmouth, IL. Finish location – McCook, NE. I had to sleep wherever and whenever I could! Finish location – Arapaho, NE. Comments: “HALF WAY DONE!!!!! 1,692 miles GONE!! 40 more days and it’s all over but the shouting! I miss all of you.” From Guess Who??? Finish location – Holdrege, NE. Fans – signing my witness book – had people sign this book all along the route as evidence that I ran every step of the way! Finish location – Hastings, NE. Comments: “Took a wrong turn and ran over 3 miles out of the way! Spent about half an hour in a lounge and then fell asleep... shows you how much I’ve been partying! I haven’t!! My first 50+ mile day! Leaving the Rockies with my support crew – arm in arm. 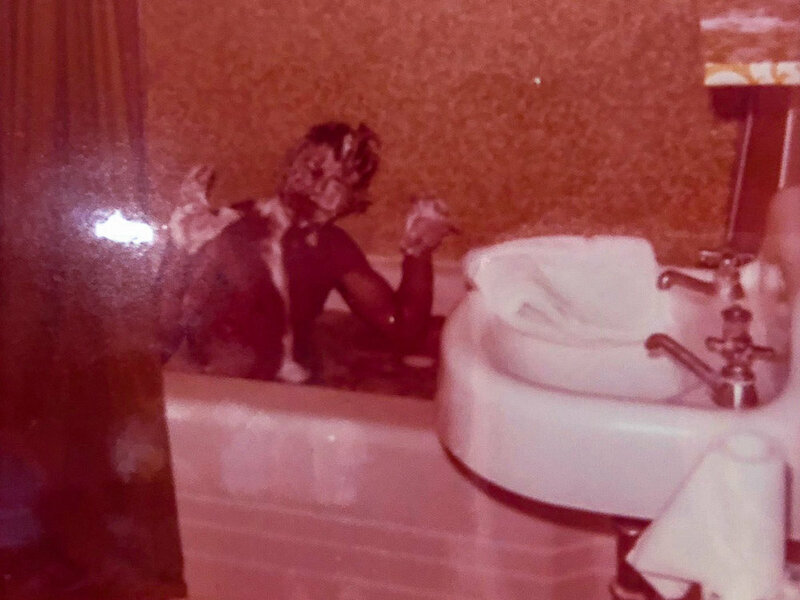 Day 33 – July 13, 1978. Finish location – Estes Park, CO.
Running out of the Rockies. Day 32 – July 12, 1978. Finish location – Grand Lake, CO.
Quick drink break in the Rockies. Day 31 – July 11, 1978. Finish location – Kremmling, CO. 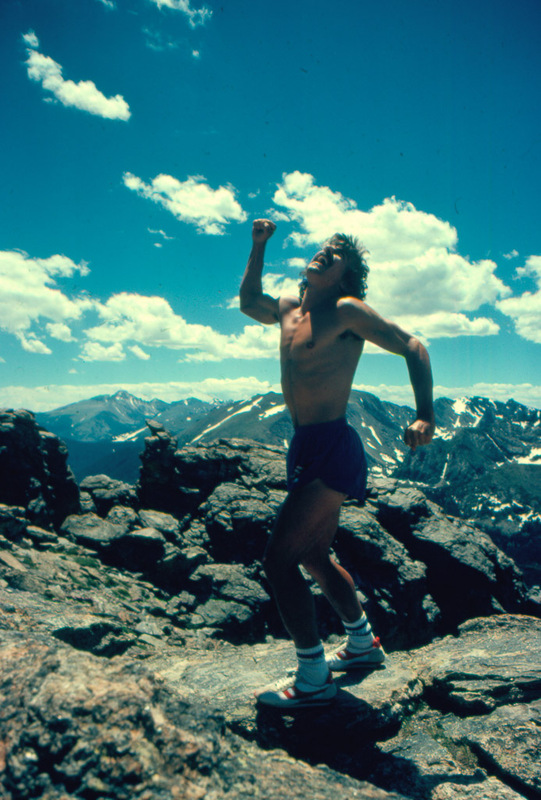 Being silly – Rocky at the Rockies. Making it to the top – 13,000 feet! Day 30 – July 10, 1978. Finish location – Steamboat, CO. Weather – sunny but then thunderstorms in the afternoon. 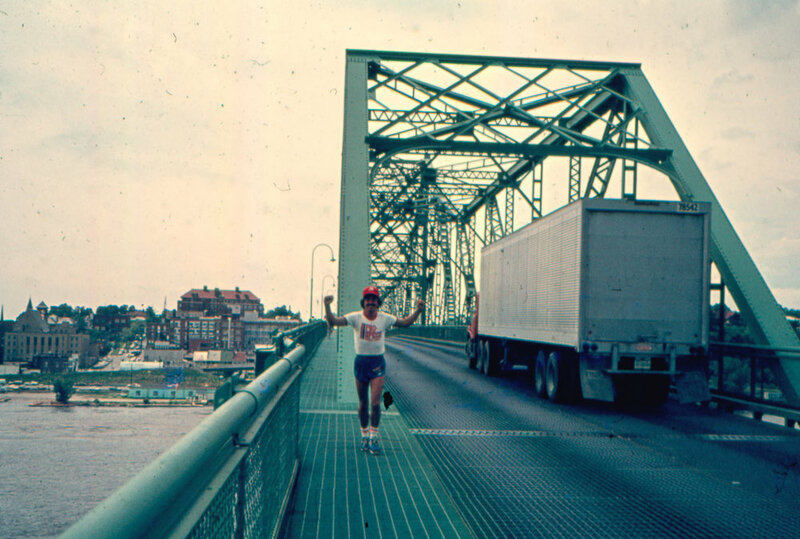 Continuing on with my day-to-day diary account of my 1978 Cross America Run for the Jimmy Fund from June 11, 1978, to August 29, 1978, a total distance of 3,452 miles averaging 45 miles a day, done 40-years ago to the day. I’m enjoying reading these cards that I mailed home every day as I haven't read them in 40 years! Below is what I wrote on these cards each day. Day 29 – July 9, 1978. 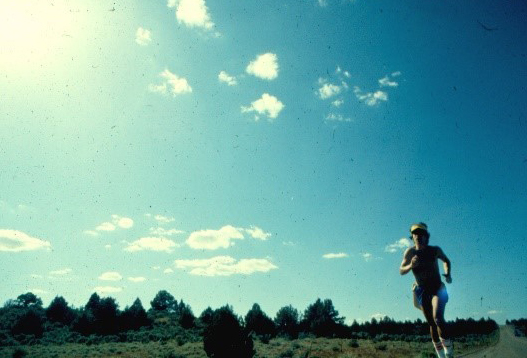 Finish location – Craig, Colorado. After the 100+ degrees in the desert, seeing some snow was a welcome sight! Day 28 – July 8, 1978. Finish location – Maybell, Colorado. Day 27 – July 7, 1978. Entering the Rockies! Nice view but tough climbs. Day 26 – July 6, 1978. Finish location – Vernal, Utah. Day 25 – July 5, 1978. Finish location – Roosevelt, Utah. End of the day treat – my beloved ice cream!!! No “power foods” back then! 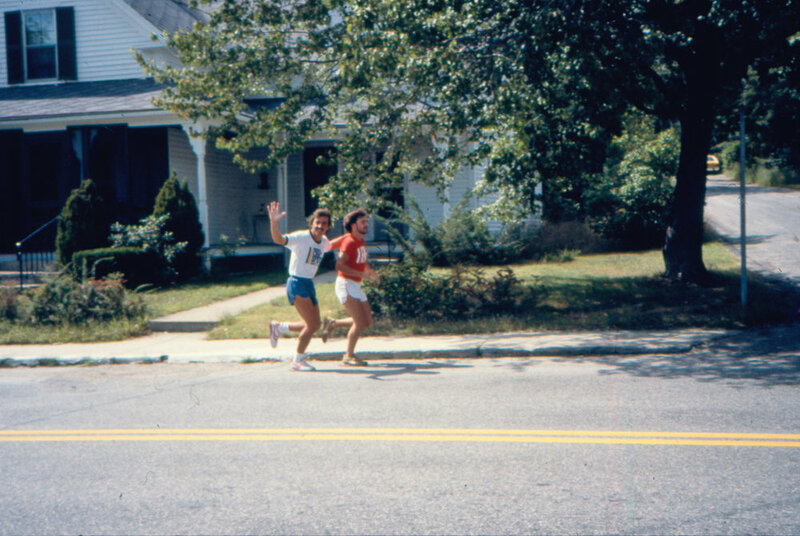 Day 24 – July 4, 1978. Finish location – Fruitville, Utah. Goofing off a bit – needed to lighten it up every now and then. Day 23 – July 3, 1978. Finish location – Heber City, Utah. Weather – 65 to 85 degrees. 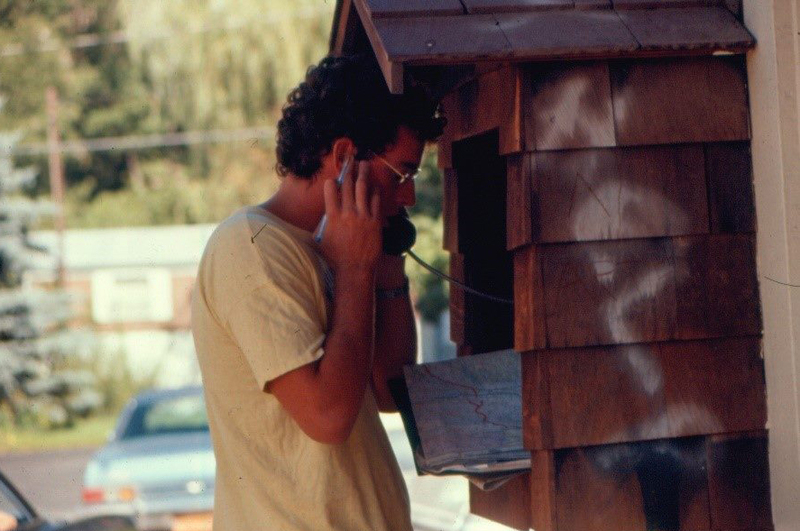 Jeff doing advance PR work at the nearest phone booth. 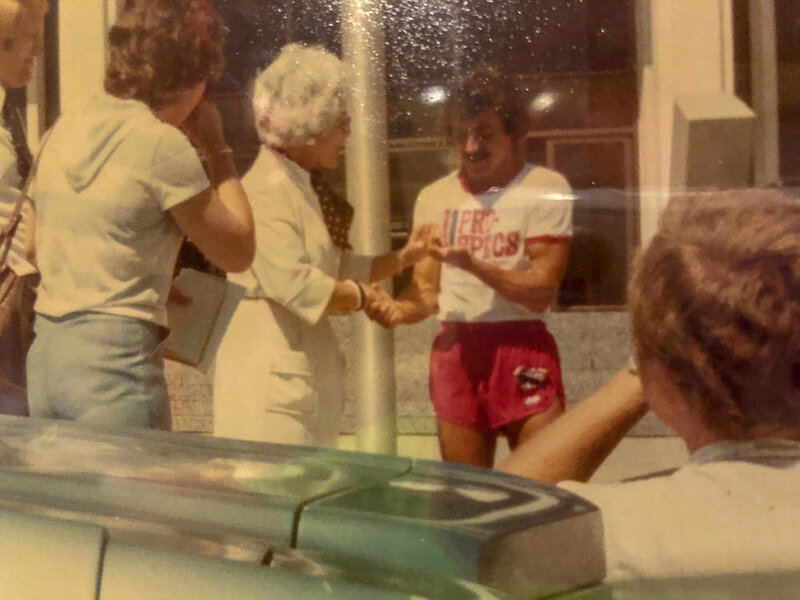 Day 22 – July 2, 1978. Finish location – Provo, Utah. Running through the real rocky mountains of Utah! 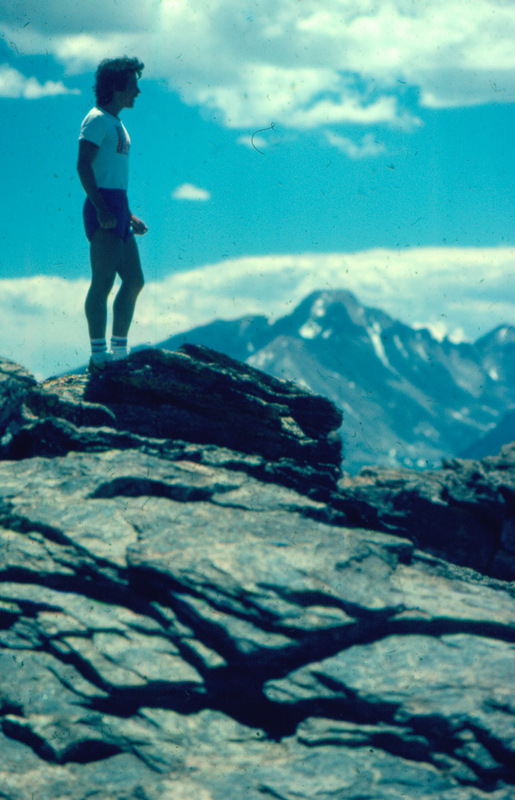 Day 21 – July 1, 1978. Finish location – Nephi, Utah. Cattle making a “run” for it across the highway and then actually chasing me! Feet – surprisingly, seem to be in good shape! Day 20 – June 30, 1978. Great to finally have Kent here to bike with me and run with me and basically take care of me! Day 19 – June 29, 1978. 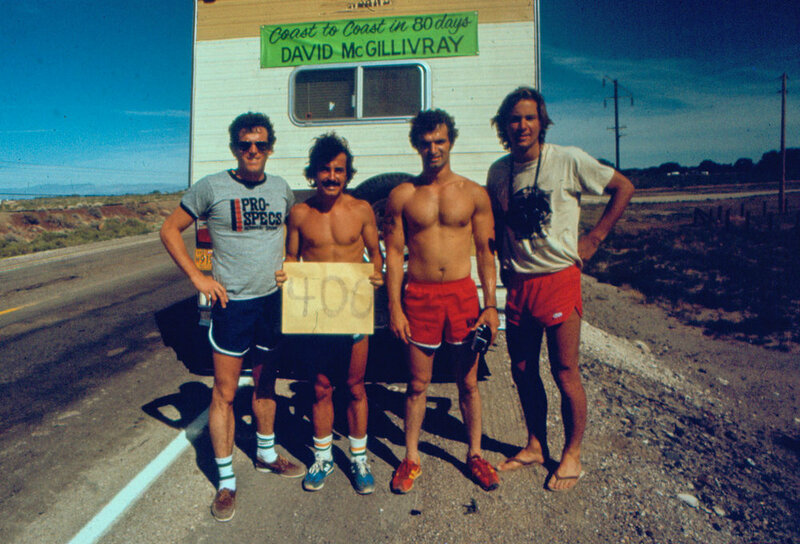 Finish location – In the desert. 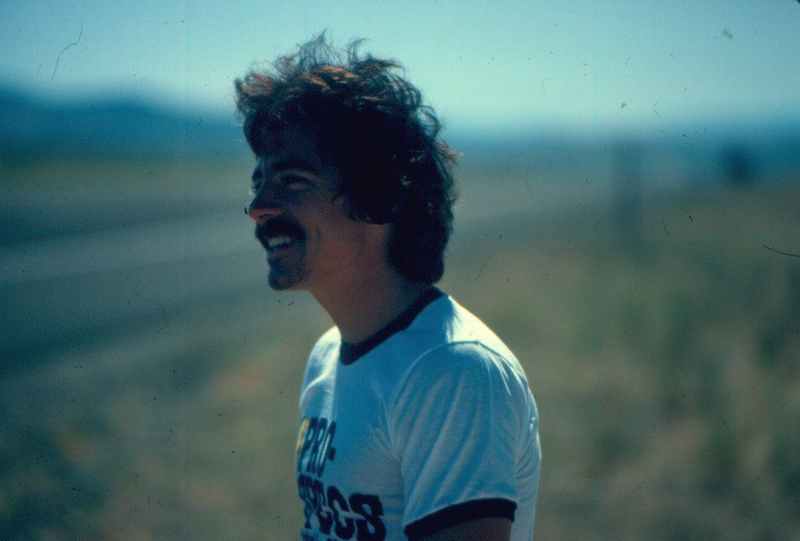 Continuing on with my day-to-day diary account of my 1978 Cross America Run for the Jimmy Fund from June 11, 1978 to August 29, 1978, a total distance of 3,452 miles averaging 45 miles a day, done 40-years ago to the day. Danny cooking dinner for us. Current Note: Sadly, Danny passed away a few years ago. He was a great friend and crew member. Day 18 – June 28, 1978. 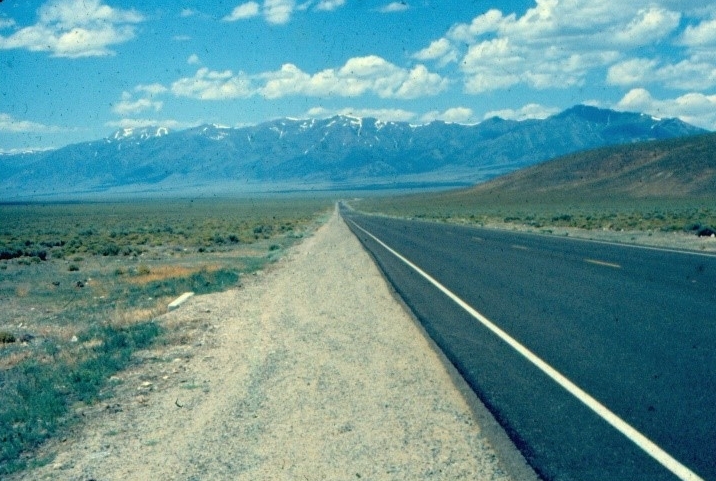 Finish location – Baker, NV. Newsclips – it was fun to pick up newspapers along the way and see the run mentioned. Really picked up our spirits, especially in the lonely desert. Day 17 – June 27, 1978. Finish location – Major’s Place, NV. Trying to be positive – I always tried to say to myself no matter how hard this was that I was fortunate just to have the health and strength to even attempt it. Will be making an EXCITING ANNOUNCEMENT on my next MEDFORD TO MEDFORD post!! WORST DAY OF THE TRIP! 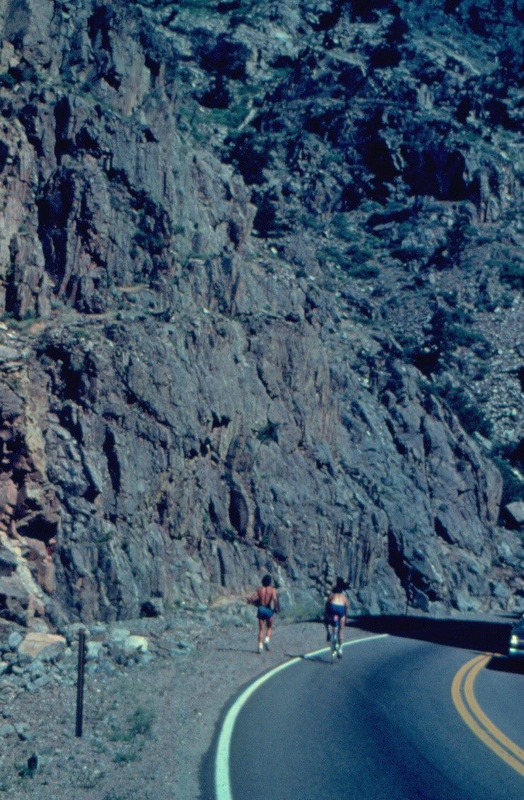 More running in the desert. 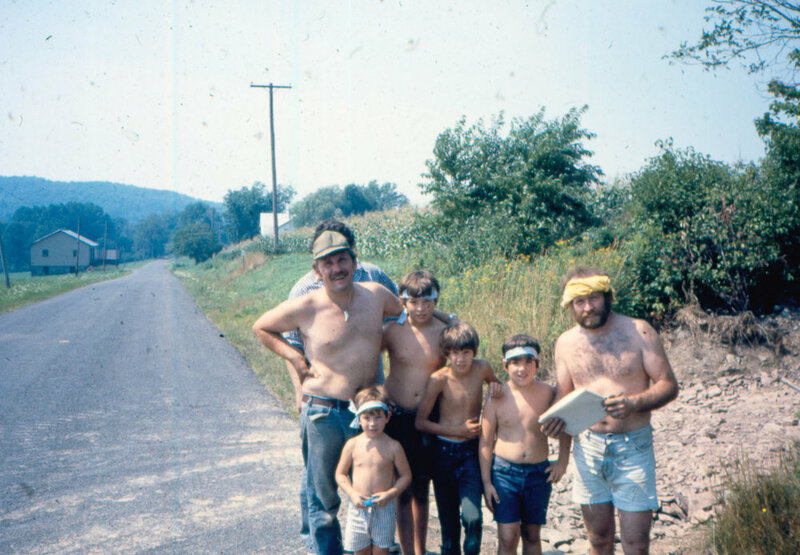 Day 16 – June 26, 1978. 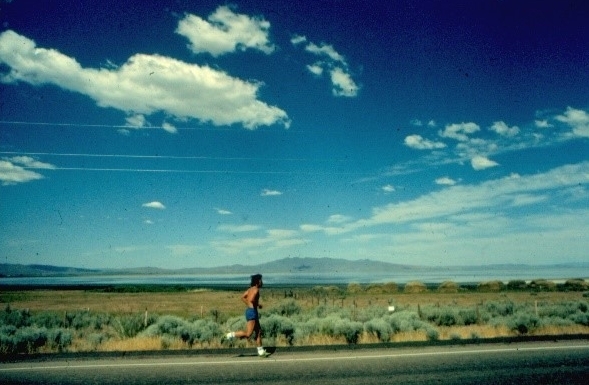 Finish location – Ely, NV. My face – taken more of a beating than my legs and feet. Burnt. Motorhome in the desert – our home for 3 months. My editorial comments today: I do remember this day the most. I will never forget Ely, NV. In the desert with a bum knee – the vastus medialis muscle. I never felt so “alone” in my life. 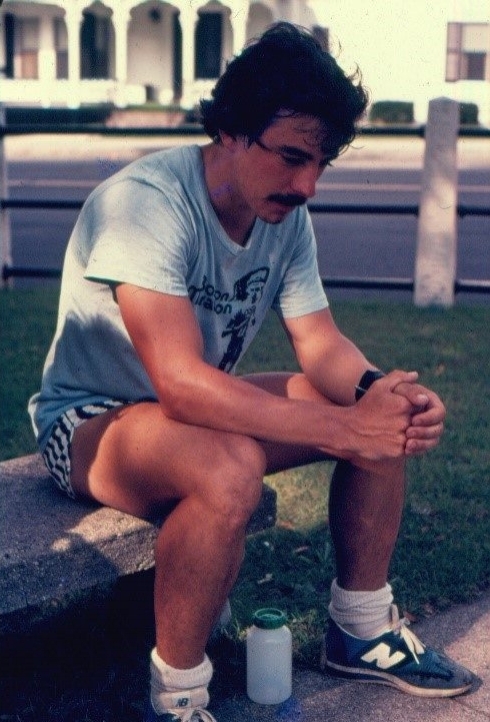 My dream of running across America was about to end at about 1,000 miles. I was questioning whether I could do this or not. The doctor in the ER asked me how I thought my knee became sore. I just couldn’t tell him that perhaps running 40+ miles a day had something to do with it! I eventually realized that the pitch of the road was what was causing it. I was running all my miles on one side of the road. I alternated each side from then on and my pain eventually subsided. If I didn’t figure it out, I would never have made it and I wouldn’t be posting this daily report right now! Sitting quietly wondering if I can really do this now…and praying. 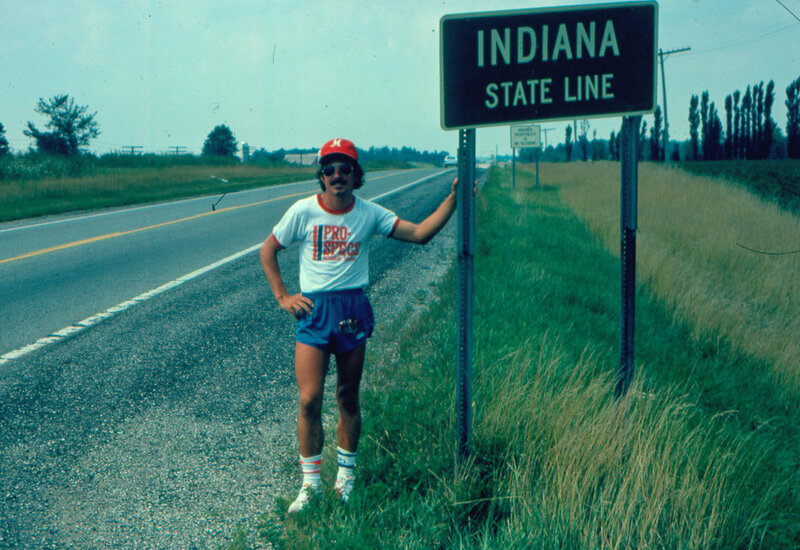 Continuing on with my day-to-day diary account of my 1978 Cross America Run for The Jimmy Fund from June 11, 1978, to August 29, 1978, a total distance of 3,452 miles averaging 45 miles a day, done 40-years ago to the day. I’m even enjoying reading these cards that I mailed home every day as I have never read them in 40 years! Day 15 – June 25, 1978. Finish location – Eureka, NV. Weather – sunny, 75 degrees. Day 14 – June 24, 1978. Weather – sunny, 60 to 85 degrees. Day 13 – June 23, 1978. Finish location – Austin, NV. Day 12 – June 22, 1978. Weather – sunny, 75 to 85 degrees. Day 11 – June 21, 1978. 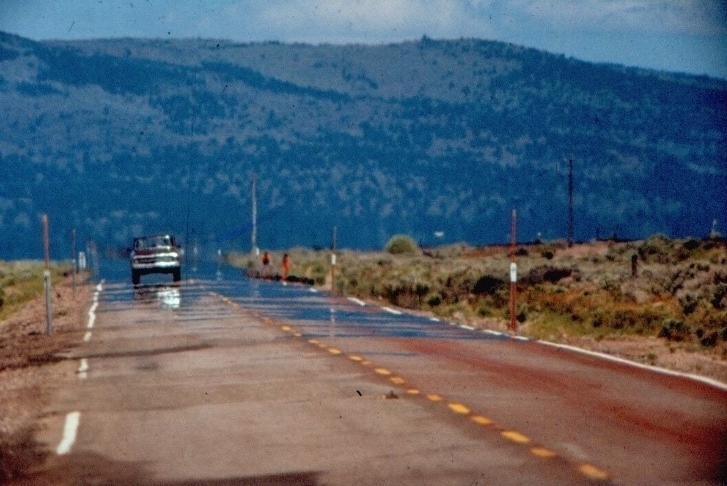 Finish location – Frenchman, NV. Weather – sunny, 85 to 100 degrees. Desert photo – HOT – 100 degrees! Motorhome Banner – what is wrong with this banner???? Yikes! Day 10 – June 20, 1978. 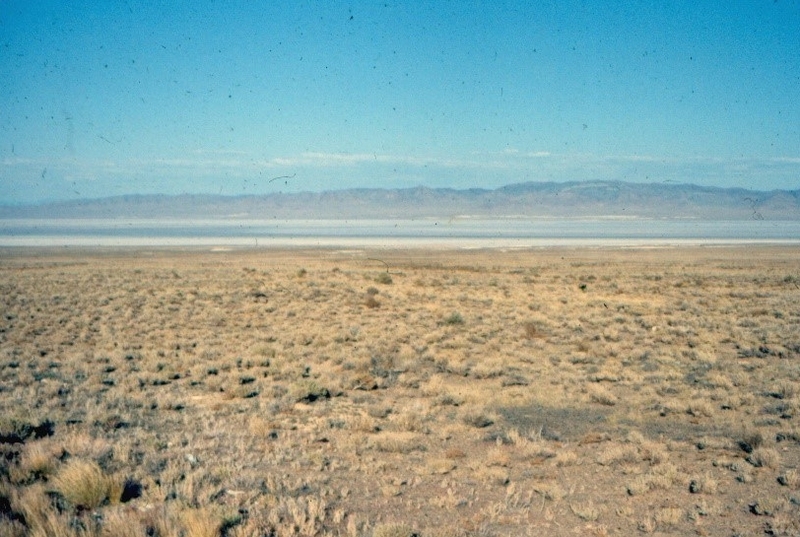 Finish location – Fallon, NV. Weather – sunny, 95 to 100 degrees! 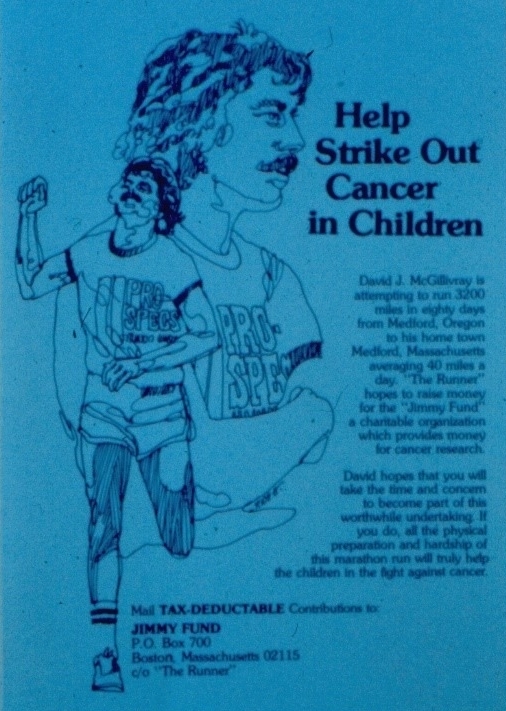 Jimmy Fund Flyer – handed this out along the way. No such thing as “on-line” donations!! Day 9 – June 19, 1978. Finish location – Reno, NV. Weather – sunny, 80 degrees. Getting to the 400-mile mark. Day 8 – June 18, 1978. Weather – sunny, 75 to 80 degrees. Entering Nevada and the desert – the point of NO RETURN. Day 7 – June 17, 1978. Finish location – Milford, CA. Day 6 – June 16, 1978. Finish location – Susanville, CA. Weather – overcast, rainy then sunny afternoon, 50 to 75 degrees. Training at home in a sauna to get acclimated to the 100+ temperatures in the desert. Day 5 – June 15, 1978. Finish location – Likely, CA. Day 4 – June 14, 1978. Finish location – Canby, CA. Weather – 70 to 80 degrees. Comments: “Stayed the night in a small campsite…we were the only ones there. Lonely but pretty country. I’ve been averaging 7-minute miles and doing about 25 miles in 4 hours in the morning and the last 15 or so real easy in the afternoon. My quads are tight but what do you expect after running 40-miles a day! We are in no-wheres-ville!! Phone booth – only way to communicate back home then. Ran from phone booth to phone booth. American flag – wore this on my shorts the entire way along with four religious medals my mother gave me, one even blessed by the Pope! 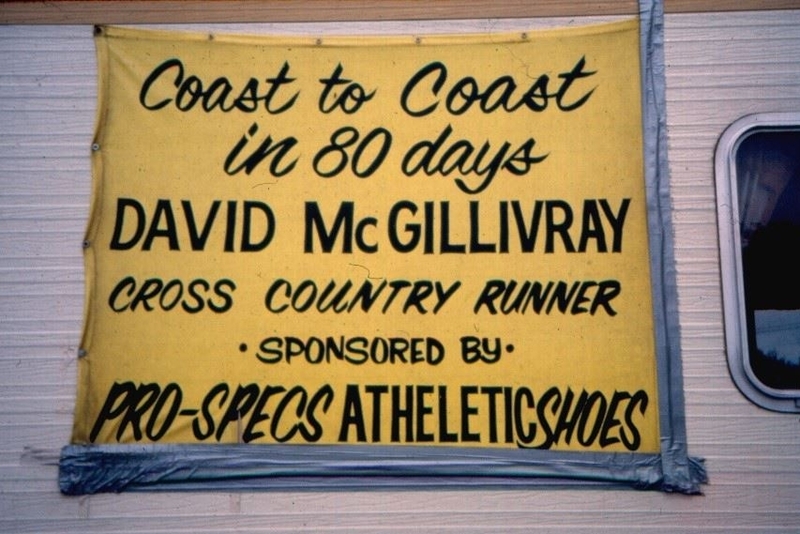 Pro Specs – my sponsor so I had to wear their shoes, which I had never worn until I took my first step on this run!! They were so stiff that my dad used a saw to cut grooves in the bottom of the shoes so they would bend for me! Day 3 – June 13, 1978. Finish location – Newell, CA. Comments: “Finally, the flat terrain is here! The 1st two days were all mountainous. I ran with a newspaper reporter for 10 miles and he did an article on me in the largest newspaper in southern Oregon – nice picture, too. Called WHDH and other radio stations that asked us to call. Stayed the night at the base of a mountain – was afraid the bears were going to attack us! Feel pretty good!! Dave"
Day 2 – June 12, 1978. Finish location – Klamath Falls, OR. Weather – 75-80 and sunny. Comments: “Very mountainous! Elevation over 5,000 to 6,000 feet! No blisters, no problems – quadriceps very fatigued! 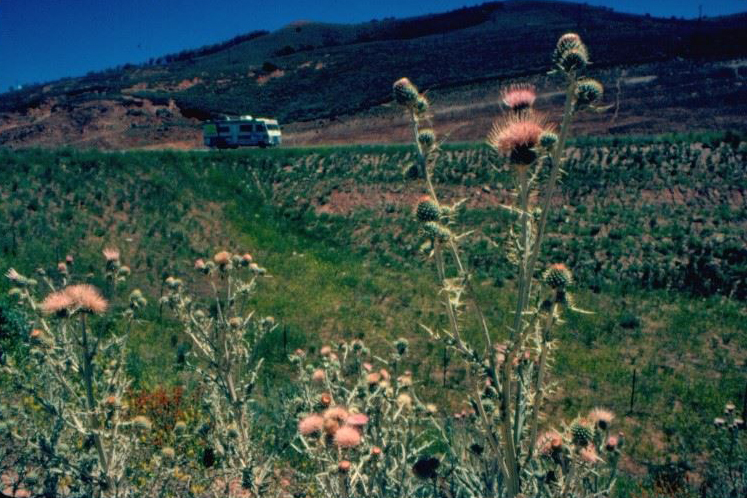 The guys with me are great – riding the moped beside me and driving the RV. It’s a long way home! Tomorrow we will be in California! Hope you all are doing well. I’m sure things will be getting very rough soon – keep me in your thoughts and prayers. 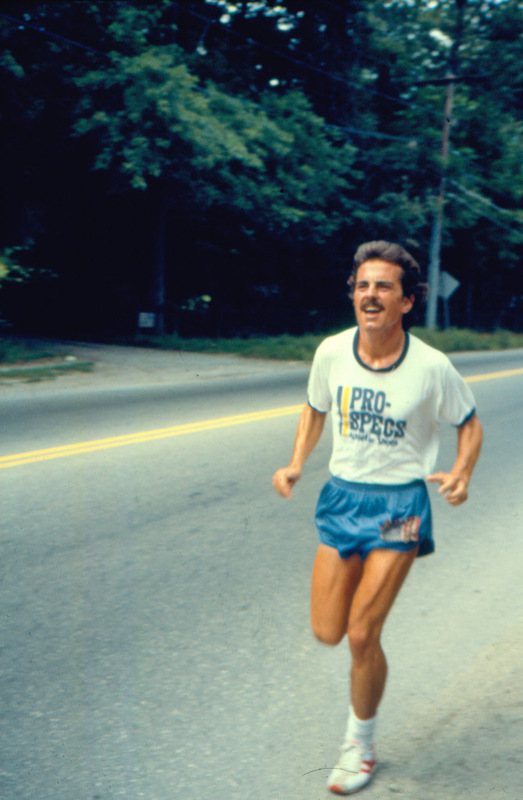 Dave"
Forty years ago today, June 11, 1978, I started off on my 80-day, 3,452-mile run from Medford, OR to Medford, MA. For the first month, I averaged about 43 miles a day and then upped it to over 50 miles a day as I miscalculated the distance using AAA maps and a ruler! Geez, now I am lucky if I can do just one of those days! Every breath seems like a cliffhanger! Guess I should just be happy I’m still waking up every morning. I always thought it would have been more exciting for all of us to be born, go to age 50, then turn around and go back to age zero again – then you get to do every year of your life over again…a second chance at every age instead of just getting older and older!! So cool. Ha. Looking at a few of these pictures – I started ceremonially in the Kingdome in Seattle during a Red Sox / Seattle Mariners game and then flew down to Medford, OR to begin the run. In the group photo below, I am with the Mayor of Medford, OR, and a few members of the Oregon Sizzlers track club. My crew of Danny Carey, Jeff Donahue, Tom Kinder, and Kent Hawley were lifesavers. At the end of every day, I wrote a postcard and mailed it back to some friends at the Boston YMCA. Each card had the date, day on the road, weather and temperature, miles I ran and location I finished for the day, along with a brief message. No computers, no cell phones, no emails, no texting, no GPS, no nothing. Ran from phone booth to phone booth! The one below says: “Started about 1:10pm from Medford, Oregon. The Mayor and a few guys from the area track club ran with me for a while. Was interviewed by area TV and newspapers. Only expected to do 20 miles today – very, very hilly and mountainous! Over 5,000 ft. in elevation. Stayed at a campsite for the night. 80 degrees and sunny. Dave"
Ran 30-miles that day and finished in Tub Springs, Rt. 66, Oregon, my shortest day because I started in the afternoon. I only had 3,422 more miles to go! What was I thinking?? I was 23-years-old and very naïve. That’s what probably got me through all this. When I was growing up, I was mesmerized by watching the Olympic Games and dreamed of someday of “making the team”. Well, that of course never happened! I so vividly remember swimmer Mark Spitz and how he dominated and won so many Olympic medals. 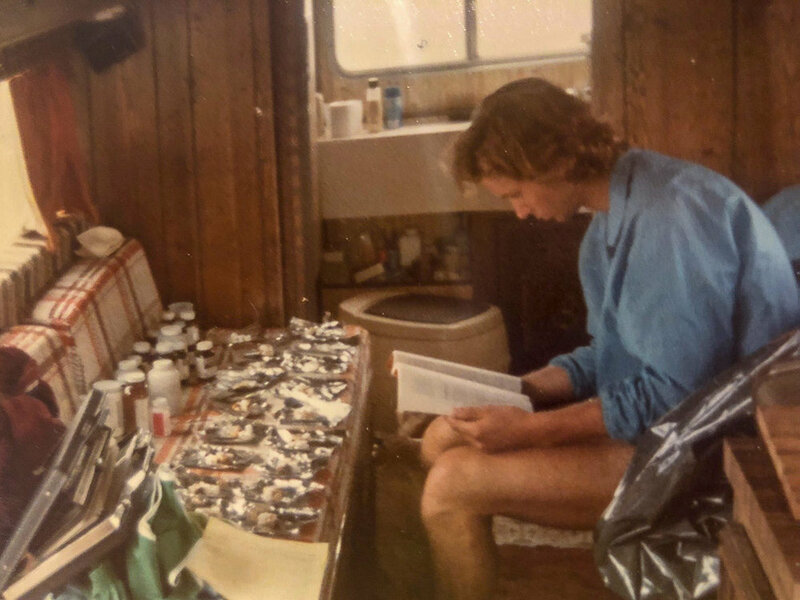 Some people even said we looked a little alike (me doing a triathlon in Vermont) When I saw this picture back then of him wearing all these medals, I recall saying to myself “someday I’m going to be wearing a bunch of medals like that, too.” I even hung this poster in my room – yikes! Someone recently handed me this Andover Magazine and all I could think about was that moment about 50 years ago when I dreamed of wearing so many medals myself. Sometimes “big dreams” can come true if you are patient and you try hard enough. Although I gave all these medals to little Jack Middlemiss because he deserved them more than me, I still have the photo! Every time I give a speaking appearance, I asked who has not run in a race before but would like to someday. I then pick one person from the audience and give them a medal (donated by Ashworth Awards). The medal says “my next goal is to earn my own medal”. I then tell them when they run a race and get their own medal they have to mail this one back to me so I can someday give it to someone else. I have received hundreds of these medals back in the mail. The idea is that when they raise their hand and I give them the medal, it is a reminder of their “commitment” to pursue this goal and the medal actually encourages them and incentivizes them to actually do it. Of all the medals I have given away over the years, I probably have received 90% of them back, meaning that they actually did make the commitment and eventually participated in a race and received their own medal. Pretty cool. Just received another one in the mail yesterday!